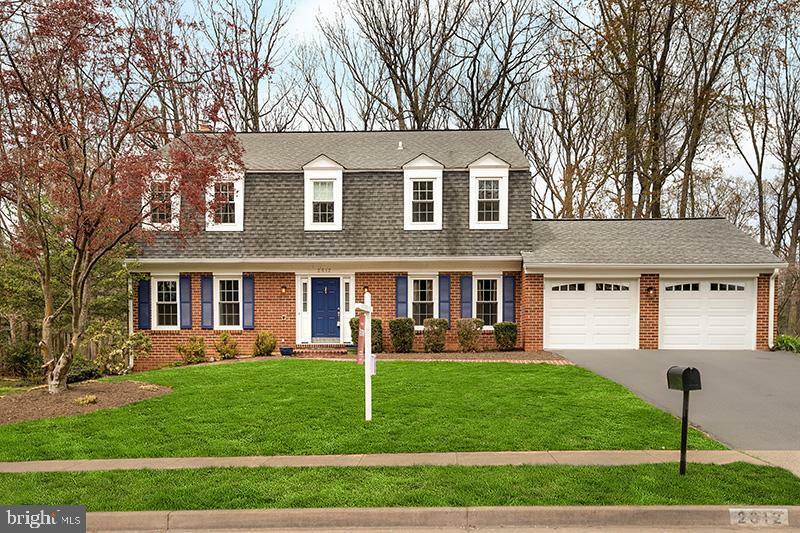 This beautiful home is nestled amidst tall trees, lush greenery on a quiet cul-de-sac in the highly desired Fox Mill Woods neighborhood without any Reston HOA fees! This updated home has a beautiful and functional floorplan with a gourmet kitchen ceramic tile flooring, stainless appliances, granite counters, table space, a bay window and sliding glass doors leading to the spacious covered patio. Crown molding, gorgeous hardwood flooring, and a warm brick fireplace are just some of the highlights. Maintained with love and care by one family for years, you will see the attention to detail in every room. Entertaining or relaxing is a breeze in the fully fenced level rear yard with a basketball court and covered patio. Highly desired school pyramid with many schools just blocks from the home. Great community amenities like swimming or tennis for a small fee. Close to shops, restaurants, entertainment, and all major commuter routes.